How long is Fire Emblem Heroes assuming I don't want to pay any money? BoneSnapDeez wrote: How long is Fire Emblem Heroes assuming I don't want to pay any money? Prooooobably like 8ish hours? I don't remember. Yessir. It does just fine for what I typically use my phone for, which doesn't tend to include games, or very much beyond email/Google Hangouts. ElkinFencer10 wrote: Well, I played Bible Adventures on NES, so I know EXACTLY how the whole Noah's ark thing went down. Yeah, it involved a slingshot and a hungry grizzly bear stuck in a bush for some reason. Part of the launch thing is handing you 10 or so of the +50 stamina potions, which is as far as it auto-generates to anyway. So you can use those to power through a fair bit if you want. Otherwise it's a few minutes per point I think, with some missions taking 10 points to try (earlier missions are less, and training tower stuff is halved for the launch). Players are already complaining about it, but it's basically how these games work AFAIK. So for a lot of folks, like me, the appeal may wear off pretty quickly once the bonus items and discounts run out. Ack wrote: Yeah, it involved a slingshot and a hungry grizzly bear stuck in a bush for some reason. Since I'm spending about two weeks in Philadelphia supporting a new product install for work I brought my CDX to have something to do in the evenings. And first up on my list was to finally finish my save of this game that I've had for many years. I've pretty much just been playing it when I bring my CDX somewhere, and lately I haven't been travelling with it (I've had a tablet instead). Shining Force CD is a compilation of the first two Shining Force Game Gear games that are ported to the Genesis Shining engine, as well as a third, shorter chapter set after the events of the first two games. There's also a final, fourth "chapter" which is unlocked by finding an item in the second game that is a boss rush map similar to the post-credits map in Shining Force II. The original Shining Force Gaiden game was never released in the US; we only got the sequel (which was localized as Shining Force II: The Sword of Hajya). Since the sequel is a very direct story line sequel this actually made it a bit confusing, as there are several call backs to the first game. But back to the first game. It's set shortly after the events of Shining Force 1, and begins with Queen Anri getting a visit from a messenger from another country. This being a video game, the messenger is evil, and you must assemble a force to go after him and break the spell of sleep he cast on Anri. Your advisor is Lowe from Shining Force 1, and very late in the game Luke (localized in this game as Lug) shows up to help you out. The rest of the force consists of an amnesiac man who turns out to be far more important than we can imagine (which ends up being the same story in the sequel), a few offspring of the old force members, and some new characters. Since this was developed for handhelds they removed the town segments; instead you get a menu screen where you can do party management (raising, promoting, item management, saving) and shop. Once you exit you immediately go on to the next battle. Size-wise it doesn't really skimp; there's 22 battles and the map sizes are comparable to the sizes of maps in Shining Force 1. You should know what to expect if you've played other Genesis Shining games. I love me some Rare games on N64. I adore their collectathon platformers - both Banjo games and DK64 are games I think of very fondly. I have a soft spot for Diddy Kong Racing. I think Jet Force Gemini is a really fun experience too. One Rare game that often gets forgotten when discussing their N64 output though, is Blast Corps. 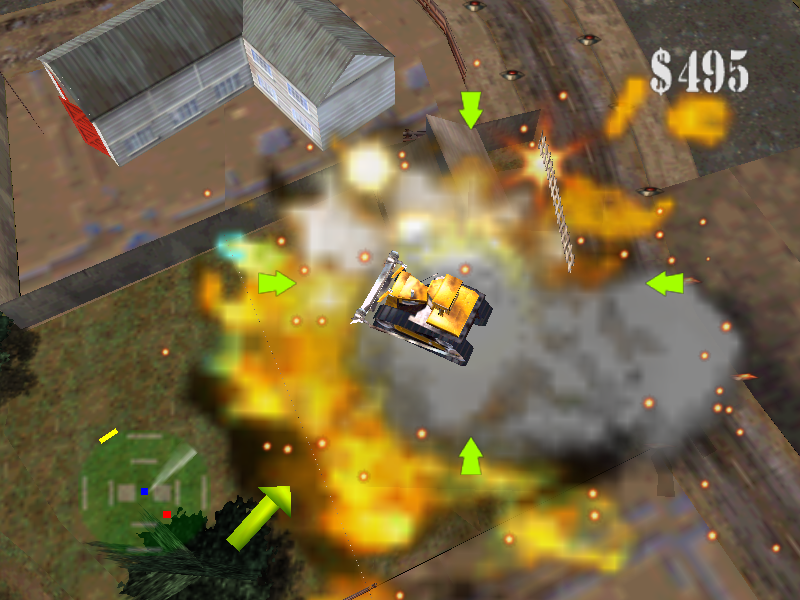 An early game for the system which was apparently made by a very small team at Rare, Blast Corps has you tearing down everything in sight in a selection of vehicles. Blast Corps lives up to it's name, because I had a blast with it. The story of Blast Corps is pretty minimal but it goes something like this: Blast Corps are a team of 'urban renovators' who basically tear down buildings so new buildings can be built. They all walked out from a military base after the bosses turned against one of them who had become disabled on a mission. This is all irrelevant. The main deal is that the stupid people at the military based managed to screwn something up, and now there's an out of control truck carrying 2 super sensitive nukes leaking radiation, and you have to clear a path for it so it doesn't crash and cause a nuclear winter. Blast Corps features 20 main stages where your goal is to tear down all the buildings in the carrier trucks way to prevent the nukes exploding. You do this with a selection of fun vehicles, which have to be used in different ways. The most powerful come in the form of giant robots who can shoryuken, ground pount or cartwheel through buildings with ease. However, many levels with have you in a slightly more down to earth vehicle which control very differently. The Ramdozer is a basic bulldozer which can crush through buildings quite easily, but can also be used to push around concrete blocks to fill gaps and tnt to blow up tougher obstacles. The Ballista is a motorbike with rocket launchers attached that can shoot down buildings but requires ammo and is fiddly to steer. The Sideswipe is a truck pulling a rig with hydraluic rams that shoot out to the side. This also requires ammo and positioning, as the rams do more damage at the edge of their range. Skyfall is a 4x4 buggy with nitro boosts that is most effective when falling on top of buildings from a jump. And finally, Backlash is a dump truck which is designed to troll you, as it's hard to steer, hard to use, and the most common vehicle throughout the levels in the game. Backlash is only effective when hitting buildings with it's rear during a power slide - requiring a lot of fiddly sliding into buildings to progress. In addition to these Blast Corps vehicles, you can also commandeer regular vehicles at various points, such as ferries, trains, cranes and various cars. The former 3 in particular are often essential for transporting vehicles to the correct place or creating new paths through the level. The vehicle variety in Blast Corps is it's greatest strength, as the ways to tackle the level change considerably depending on what you have to hand. The mechs are a liberating experience of crushing through everything, but using backlash makes you take a very careful approach to destruction. Sideswipe requires precision and Skyfall requires speed, whereas Ballista favours an approach of going nuts with missiles, but still requires some accuracy due to limited ammo. If anything, one of it's bigger issues is that the vehicles don't get a very even representation across the stages - Skyfall in particular is great fun to use, and not overpowered, but only is required once or twice in the whole main game. Backlash on the other hand is used in about 7 of the 20 main stages, and the mechs are surprisingly common too. In addition to the carrier stages, there's plenty more to see and do in Blast Corps. Returning to a beaten level allows you to go for completion by finding all the hidden items and destroying all the buildings in the stage. Finding hidden beacons in stages will unlock side missions, which are often challenges to destroy certain objects in a time limit or find all the items in the level whilst being limited to a certain vehicle. They can also take the form of races, which ask you to complete 4 laps around a track in a time limit. The races are a little basic, but they still have their charm. There are a ton of side missions available, and you'#ll likely spend as much of your time in them going for gold medals as you will beating the main stages of the game. 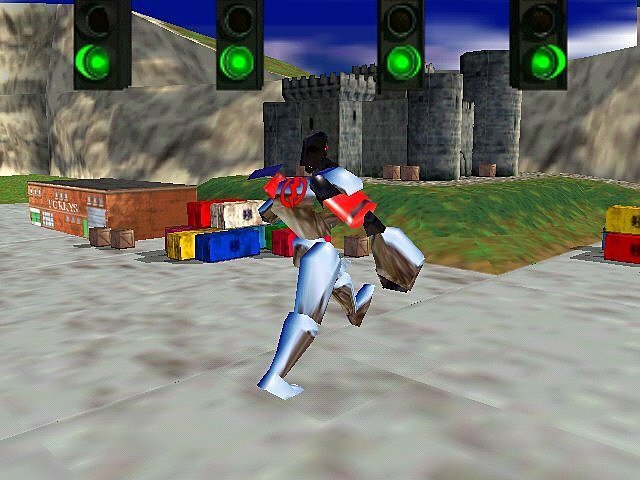 Blast Corps difficulty level is generally pretty tame, besides a handful of the final stages where you play as Backlash, which require some finesse with his power sliding mechanics to be fast enough to continue. Despite having plkenty to do in it's running time, Blast Corps really feels like it could use a few more levels with some more complexity, as half of the existing ones feel like tutorial stages, and some of the vehicles never get a chance to be used to test your skills. When one of a games biggest flaws is it feels too short and I want to play more, I take that as a good sign. Blast Corps controls can be a little finicky at time, due to it's overhead nature - steering is relative (left will turn you left if driving upwards, but right if driving down) which isn't too big of an issue, except when reversing as the controls then reverse, which can be confusing if you're facing an odd angle. Some of the vehicles are a bit sensitive control, but it feels like they were designed to be, so that's not so bad. Backlash, besides being the hardest vehicle to handle, also has a few control issues though - sometimes initiating a power slide would make you spin in a tight circle, whereas other times your vehicle would spin around whilst still maintaining momentum in the direction you were driving before. I couldn't find a consistent cause of either of these, so it caused some consternation at times. Graphically, Blast Corps is pretty poor, even by N64 standards. Buildings are blocky, vehicles are small and ugly, the art style is really basic and generic looking, and there are bizarre framerate issues when your tiny blocky character runs around on foot. However, the music is pretty fun, especially one track which is the most amazingly 90s mix of a hoedown and 1990s euro dance music. 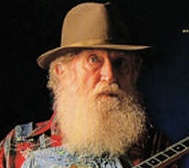 It sounds a bit like Rare's take on 'Cotton Eyed Joe' by Rednex, if you've heard that. Blast Corps is a fun and often forgotten classic by Rare. It's mechanics are basic, it's graphics are ugly, and it's a bit short, but it's just so much fun to play that it left me wanting more. Considering how cheap this goes for, I think this is a must-own game for any N64 library. Get it. Note: finding good screenshots of Blast Corps is hard, and so I suspect most or all of these screenshots are from the XBox One Rare Replay collection, and so look better than the game did on N64. The gif is definitely from Rare Replay, but dammit it showed Backlash in action so I wanted to use it. AGDQ last year did a run of Blast Corps with Martin Wakeley (the designer) on the phone doing developer commentary.